Here's what Jeff Tweedy and I have in common: We still have our original copies of the Clash's London Calling on vinyl. We arrived in Chicago around the same time, and both of us abandoned cars there after a single brutal winter effectively destroyed them. We were both born in 1967, and like a lot of middle-aged dudes right now, we wear square-ish, black-framed eyeglasses—similar to standard army-issue—and our hair is generally unkempt or mussed. We're dads who occasionally think about "dad rock" and resent it on the occasion its used pejoratively, which is most of the time. Also, we both love the band Wilco. But that's about it. Because while I listen to Wilco, Wilco is Jeff Tweedy's band. I left Chicago after that winter and a deadly, insufferable summer, and Tweedy began a slow-burn career built on a personal-yet-relatable songs, a willingness to let the music take him in unexplored directions, and a fan base more than happy to follow. As they say, life doesn't move in straight lines: As the group has flourished, it has also transitioned, sometimes contentiously, through different lineups, styles, and record labels, while Tweedy has navigated addiction, depression, anxiety, and difficult family illnesses. It would have been easy to write a memoir that wallows in (or worse, celebrates) all that, but Let's Go (So We Can Get Back) is not your typical rock-star biography. 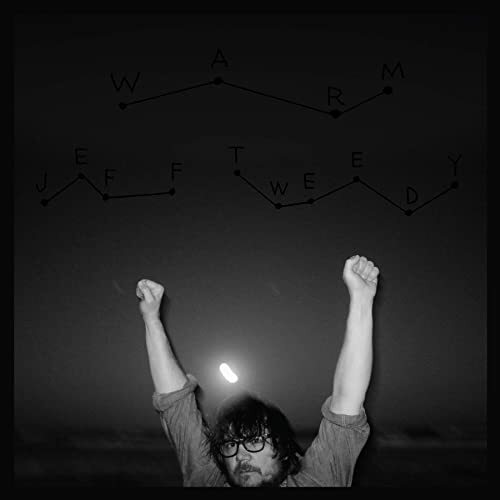 For one, Tweedy resists the label, or at least treats it with suspicion, which allows him to avoid the worst indulgences of the genre. His prose is easy-going, self-deprecating, and best of all, funny, and the tales of his many highs and lows (especially the lows) are affecting but not overwrought. 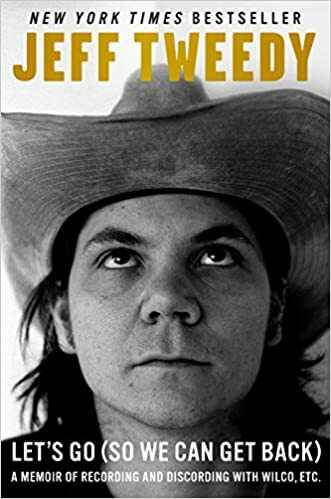 And while this book will be best enjoyed by those familiar with both Wilco and Uncle Tupelo (Wilco's influential predecessor), more casual observers may also find reward in reading about an artist who has steadfastly walked his own line, one that happens to define the border between unsung and overexposed. In any case, his audience has proved large enough to land the book on a number of bestseller lists. If I was talking too much about myself above (and I was, I admit it), it's because I'm invested. When you meet someone who has entered your life through music, movies, or books—i.e. any artistic pursuit that travels the emotional vectors—the usual ambivalence and doom-fear compounds. If it doesn't go well, if your subject is disinterested or even dismissive, your relationship with their work will be damaged. The good news: He's a nice guy, and almost as uncomfortable with interviews as me. We have so much in common! I happened to be in New York in November for the National Book Awards, the same week that Tweedy was in town as part of his media support for the book. For this interview, I met him in a conference room inside the Penguin Books offices, since abandoned. You can hear our conversation at the 12:30 mark Episode 8 of the Amazon Book Review podcast (subscribe via iTunes or TuneIn! ), or read the transcript below, which has been edited for concision, clarity, and the usual ums, likes, and ers. Amazon Book Review: I've been listening to your music for a long time, and when I saw this book coming down the line, I didn't know what to expect, because there's this whole rash of rock star biographies now. And for most of them, it seems that it's because everybody's getting old, and Now's the time. Why did you decide to write your book now? They said, you know, you're pretty young to write a book. It makes it sound like you're at the end of your career or something like that. I said, yeah, I wouldn't really write about it myself like that though... just write about some of the stuff that's happened, and talk about going forward. Some of my favorite parts were when you were talking to Susie and Spencer [Tweedy's wife and son] about how much they were comfortable with you writing. Were they happy with the way it ended up? Spencer's the only one that's read it. I think I think Sammy [Tweedy's younger son] might have done a word search for his name and checked out those passages... and Susie has dabbled in it. Every time she slams book shut because there's something she thinks is inaccurate—but not too not too personal, just inaccurate. "It's inaccurate!" It's the nature of memoir. She has her version of going out to dinner with her parents and I have my version, or whatever. So yeah, that's the stuff that drives her crazy. I don't know if she's ever going to read it. It's very relaxed and very conversational. Is that was that something that you intended, or is that just the way you could do it? There's a record coming out at the end of [November], WARM. Do you consider them to be companions, or did one prompt the other? I think if I didn't want them to be thought of, in some way, as being companions, I would have done more to keep them from coming out so close together. But they weren't necessarily designed to be. I think that they work that way, but I think that they stand alone apart from each other just fine. I would imagine like the creation and production times for the two things have radically different. How long does it take you to make an album versus how long did it take you to write this book? It depends. It takes as long as I have to do both things. I'm really big believer in deadlines, and I give myself deadlines all the time. I think you could drive yourself crazy with albums in particular. If you don't just kind of abandon it at some point.... It has to be as good as you can do by this time. Yeah. I mean, I never have put out a record that wasn't at a stage where I loved listening to it, at that moment. But that's one way of looking at it. The other way of looking at it... I work on music all the time. So there are songs on WARM that were started four years ago, and there are songs on WARM that were started six months ago or whatever. How much of your songwriting in general is autobiographical? Or at least, is there an injection of your personal life? Even if it's a bit abstract. Did you did you push Spencer towards music or it was that just something that he just sort of picked up on his own? He's never not wanted to play with me as just an activity. He started drumming very young, at a level that was really unusual for a little kid.... It was it's just like a very standard kind of hanging-out activity. I didn't really realize how prepared he was, and that he was good enough to actually record. Until one day I asked him to stop by after school--because I was working on a Mavis [Staples] record. He played the drums on a track and I was just like, "Wow, that was really hard. You don't know that's hard, right?" From that point on he's played on so much stuff. He's in his 20s... that's a time when most dads start to get scared about their sons Cats in the Cradling them, but it seems like [playing together] provides like a place for you guys to stay connected. We like each other. In one of the other interviews I did today, the writer was commenting on how, from the outside, it looks like my kids really like spending time with me and my wife. [laughs] And they do. Even our 18 year old, and that's an age that's even more in the middle of trying to form an identity.... My wife and I have talked to them like little people for a long time, so I think they've felt autonomy for a long time. That's when they start calling it Dad Rock and make it their own terrible little genre, sort of sequestered in an okay place that makes sense to everybody, I guess. And I don't know if Dad Rock actually means the same thing to more than a few people at a time. There's some people that think that it's a positive thing like "Dad bod." [laughs] I don't want to have a dad bod either! I don't want to be in a dad rock band. I don't want to have a dad bod. I have no choice over those things, apparently. That's the thing, if you don't have any choice, you can choose to disregard it. It's reductive and anything that's reductive like that... you're so screwed. You can't complain about it, because it just feeds it. But at the same time, I should always fight for our music to be heard by everybody, and not be be dismissed or pushed into some some corner that's easily sussed without investigating. You know, "Oh that's Dad Rock. I'm not a dad, so I don't like that." You stress the importance of creativity, [of] being a creator. Some people think that it's [about] tapping into a force that's bigger and beyond themselves, and others might say that it's [about] hard work and perseverance. Where do you fall? Well, I think it's probably both to some degree. I think there are a lot of biological explanations for things that people have attached to religious thought. Mental torment is a great place to start if you want to come up with a concept like hell. So I think that the whole notion of a creator seems like it could grow out of our natural ability to innovate and and ad lib and improvise as a species. We're good at it. We're good at recognizing patterns. Guys like David Lynch or Dylan—where you know that there's just so much going on in their heads—and somehow they are able to access that in a way that most people can't. Take a song like "Visions of Johanna." [Dylan] could do 12 versions of that song, and he has. Lynch likes to meditate, and I don't know what Dylan does. Is it is there a process for you? That's the second half of your question. I think both of those guys work at it harder than other people do. They do have a lot going on, but there are a lot of people that potentially have those types of intellects, and those types of insights, that don't sit down every day and exercise that ability to go into their subconscious and bring something back. I've seen this book described as your first memoir. 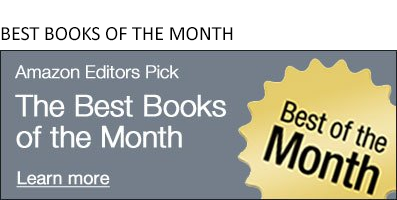 Is [writing another book] something that you would pick up again at some point in the future? I did enjoy it. I enjoyed unlocking prose. I was always very fearful of writing prose. It was never something that came naturally to me—and forcing myself to do it, and wrapping my head around writing clearly, telling a story in a clear way got to be really satisfying. I don't know if there's another memoir, but I certainly enjoyed the process of writing a book. If I think of something else to write a book about, I would maybe take a take a stab at it again. You've got a good coach, I would imagine. George [Saunders]? He's incredibly supportive. He's such a sweet friend to have. I feel so fortunate to have made friends with him a while now, and we've just been able to have our friendship grow over the years. He read the book, and he was encouraging me to write a book about creativity, because he found that to be the most compelling part. I think that would be interesting, but I wouldn't want to do it just from my point of view. I would want to like like investigate some other people's thoughts. Another empathy exercise. All right, we're good. Thank you.